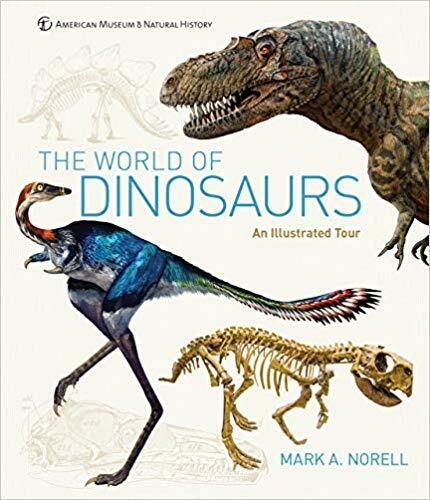 A publishing season wouldn’t be complete without an oversize full-color dinosaur book, and if such a book isn’t produced under the auspices of the great American Museum of Natural History, it will naturally wish it were. Such a book must be as up-to-date as the breakneck pace of paleontological developments allows; it must be as visually stunning as its subjects; and, if possible, it must be written by somebody with a CV as long as your arm. To look at a skeleton of one of these animals stimulates our curiosity. We can’t directly observe the look, behaviour, or diets of these extinct beasts the way we can a New York City pigeon, but we can use our imaginations. And that is much of what people do. They bring the museum bones to life, each in their own way. That re-animation of the lost marvels of dinosaurs is the heart of their perennial appeal - they were here for millions upon millions of years, and yet we will never see them - and it’s made considerably easier by books like this gem.